It is never just one hairstyle that is in fashion at the particular moment. We make the decision about what to have on our head on our own, on the basis of trends, styling suggestions, and most of all on our beauty type. Concerning curly styles, whether small curls, big waves or a thick mane – because of a proper perm we can conjure our favorite hairdo. Remember though that professionally made perm is as important as taking care of it – appropriate shampoo, conditioner and regenerating masks, safe drying and styling. All of these will allow keeping the form and resilience of the locks for a long time. 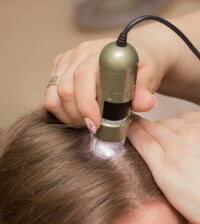 Perm introduces changes to inner structure of a hair. Particular connections get broken, and new ones develop in their place. The process shapes our hair in a new form. If the structures are broken too aggressively, and the new ones are not stable enough, hair will be rough and dull. Furthermore, unskillful realization may take place, which often includes errors like: folds at the hair base, crumbling parting, burned ends. This is why it is so important to charge a professional hairdresser with the task. Dyeing and perm? Yes, but not on the same day. Between the perm and dyeing there should be at least one day interval. The exception to this rule is when vegetable dyes are used, like henna. On the other hand, forget intense bleaching, because of the risk that hair gets parched. It is safe to bleach by two tones at most. After the perm was made, treat hair with special care and styling products. Just after the fresh perm, wash your hair only after 2-3 days. It will establish the twist. 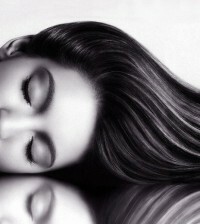 To make the hair flexible, moisturizing care will be necessary. Dry hair only with tepid hair dryer’s air. 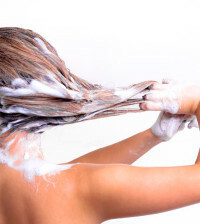 always after washing use a conditioner for damaged hair, which will make brushing out easier and will provide hair with necessary conditioning substances. once a week apply a mask onto hair and make a compress. after washing comb hair with a wide tooth comb: hair won’t be so strongly pulled then and the locks will keep their shape longer. before using a hair dryer or curlers, spread an anti-heat protection preparation.